Thanks to several past and current students of our On-site and Distance Learning MA and the PhD programme in Children’s Literature, you can now read this detailed report from our 2012 IBBY UK/NCRCL MA Conference. This year’s theme was ‘Beyond the Book’ which was interpreted in a range of fascinating ways by the speakers. This post covers the main programme, and there will be a separate post with descriptions of the parallel sessions. Enjoy! The first speaker of the morning was the charismatic Matthew Grenby, whose work on 18th century Children’s Literature is at once compelling and challenging. He presented on manuscript literature of the mid-18th century, and its relationship to the rise of print culture and the (perhaps) decline of oral storytelling. While he first argued for a linear relationship (oral traditions –> manuscripts –> printed books), Matthew quickly turned it around and said “Not so fast.” Manuscripts – specifically those created my mothers for their own children – continued to flourish as print culture arose. Indeed, these hand-written “books” became increasingly book-like, mimicking the form they preceded. Many children’s books were originally darling hand-drawn manuscripts, only reaching commercial success at the reticence of their authors and under the guise of moral responsibility to the correct upbringing of a child. Other authors used manuscripts in conjunction with their printed material, either to solicit responses or simply to compete with printing pirates. This just skims the surface of Matthew’s research. The relationship between oral traditions, manuscript culture, and printed text is cyclical and intertextual, not linear. Print was not encumbered by the lingering manuscript culture, but was defined and informed by it. 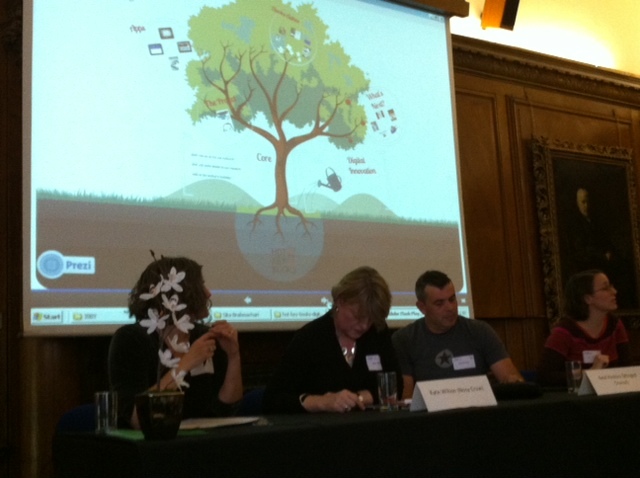 We were treated to a fascinating panel on digital publishing. Kate Wilson presented Nosy Crow’s Cinderella iPad app; a paradigm of interactive play and reading. The vibrant world is fully animated so very young readers can engage in multiple ways with the text. The app also lends itself to growing with readers as they develop. 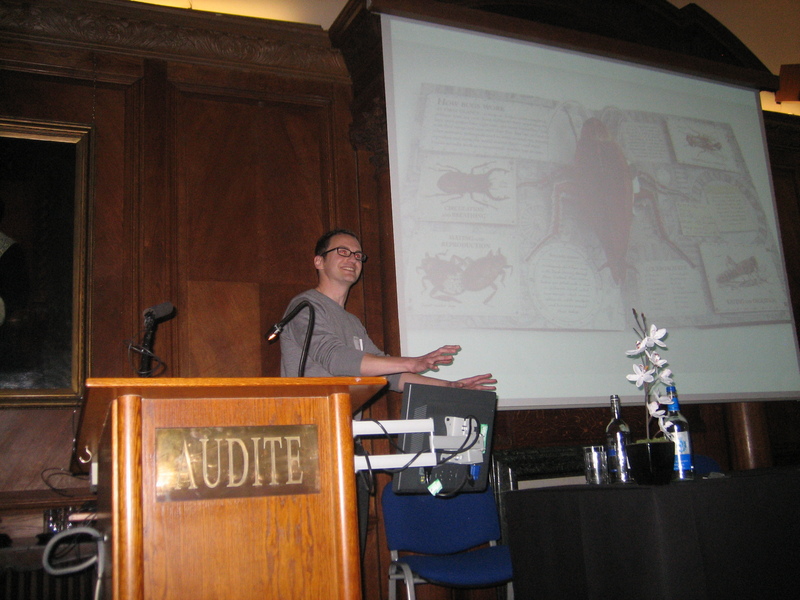 StoryCloud, from Winged Chariot, was web-based, rather than app-based, explained developer Neal Hoskins. This allows for a broader range of users on an array of devices and employs a more traditional story-telling mode, focused on text rather than a game-type narrative. 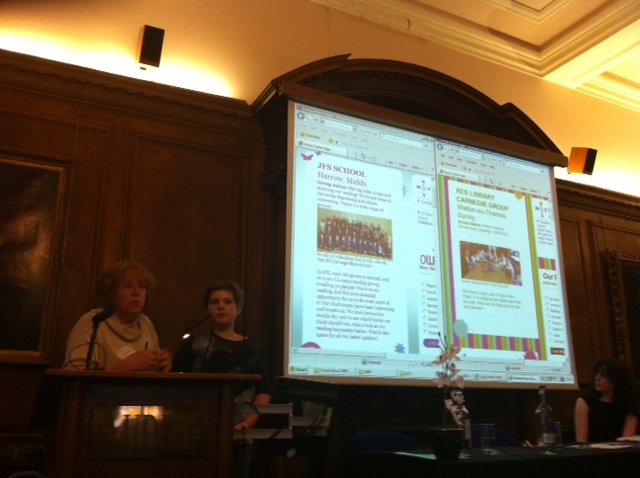 And finally, Sara O’Connor from Hot Key Books presented the innovative Maggot Moon by Sally Gardner. Also available as a traditional printed book, the Multi-touch iBook version explores intriguing ways to bring a text to life without abandoning the essential form of the book. One example: the words on the digital page animate, giving the reader the experience of severe dyslexia the author and protagonist suffer from. It was clear that these three publishers seek to completely reimagine books and storytelling in a digitally native way. The passion and excitement for the virtually boundless possibilities in digital publishing will inspire authors and developers alike to create new forms of narrative that both celebrate and move beyond the book. Is it possible to turn a wordless graphic novel into a theatre play? 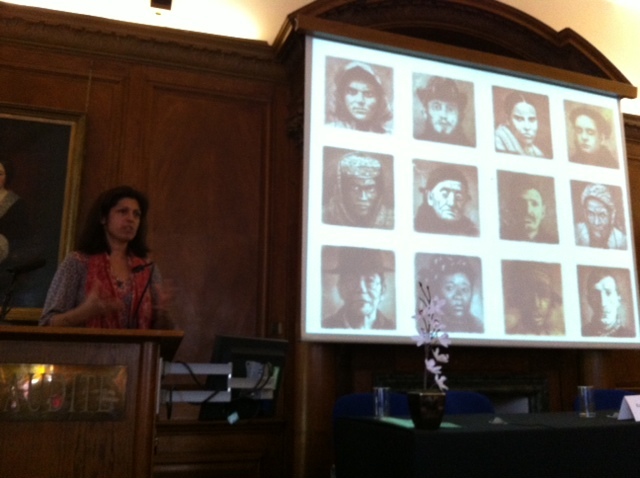 Sita Brahmachari – winner of the Waterstone’s Children’s Book Prize 2011 and nominee of the Carnegie Prize 2012 – gave a moving account of her experience scripting Shaun Tan’s The Arrival for theater. In order to retell Tan’s famous story about an immigrant who has left his family behind to start a new life in a foreign country, Sita drew on the experience of her own father who arrived in England from Kolkata in 1959. She combined family memories with central elements of the book, such as suitcases, docks, and stations or the little white paper bird. It had been her aim to recreate the international, challenging and sometimes frightening side of immigration journeys which is why she and play director Kristine Landon Smith formed a collaborative piece between Tamasha Theatre Company and Circus Space. The circus artists of different ethnic backgrounds perform impressive flights and falls – all lit with sepia-coloured light just as the pictures in the graphic novel. Altogether, the play captures Tan’s positive message by centering on a man who founds a house to support fellow migrants. Watch out for upcoming performances of this stunning production in 2013! Kay Waddilove talked about her work with her own school in contributing to the CILIP Carnegie and Kate Greenaway Children’s Book Awards Shadowing Site, and introduced us to Emilia Lamkin a 12-year-old reviewer. First we saw a fun 007-inspired short film created by children from Kay’s school (which you can watch here). This was followed by a video where the children from Kay’s school discussed in detail what the shadowing had meant to them (you can watch it here). The overwhelming impression was how much they valued the experience, and the enjoyment that they had reading and discussing the books. They particularly enjoyed extending the range of their reading, attempting unfamiliar genres and authors and the opportunities for group discussion with other book lovers was cited as a real bonus. You can see their shadowing review site here. In an onstage interview, Emilia, who was chosen to attend the conference because of the quality of her reviews, came across as an eloquent and thoughtful reviewer. It became apparent to the audience very quickly that the advantages gained by participation in the scheme were not limited to the literary skills of reading and reviewing. The young readers had benefited from the interaction with their peers, increasing their abilities in social skills, self confidence and debating. You can see Emilia’s school’s shadowing review site here and Emilia’s review of A Monster Calls here. When Emilia was asked to sum up her experiences with the scheme in one word, the word she chose was “Wow!”; a convincing argument in itself of the value of the scheme! When I look at the judgements of past Carnegie juries, such as 1967’s The Owl Service, I do wonder: did readers agree with them? ‘Beyond the book’ can describe readers’ responses, and the challenge of encouraging and sharing them. Kay Waddilove’s panel celebrated the Red House Award (voted for entirely by children) and the Shadowing initiative run by CILIP’s Carnegie and Kate Greenaway awards. Red House seeks children’s nominations and votes; the Shadowing website promotes their reviews and discussion as an alternative perspective on its shortlist. A PhD student at the NCRCL, Waddilove’s role as school librarian gives experience of both. Her presentation was a valuable and entertaining combination of theory, interview and documentary. 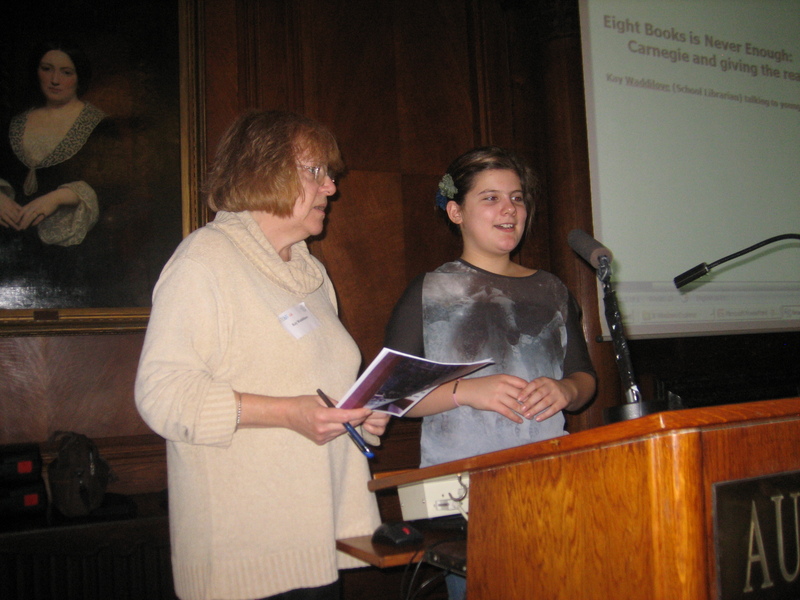 A highlight was her interview with young reviewer Emilia Lamkin, demonstrating some of the confidence fostered by participating in Carnegie’s website, on which she is a Star Reviewer. She also praised the Red House Award, which does not have an adult jury. Two short films showed the enthusiasm generated by both initiatives: many stressed that certain books, which wouldn’t have been their own choice, turned out to be ‘mind-expanding’. But the role of Waddilove and her colleagues cannot be overestimated; the panel was a tribute to the potential of a school’s library to encourage and enrich readers’ experiences. Look for the interval – make sure you have a cliffhanger that makes the children want to come back after their ice cream – plus have a climax midway through Act 2 – to keep them going to the end. Think carefully about the narrator – can a child narrator carry the story? Remember that the audience will have no “theatre manners” – they will participate if given the slightest opportunity so this is both a challenge and an opportunity. You will probably be limited by the size of your cast. Will you include songs/puppetry/ magic etc? If you have animal characters, what is their relationship to real animals – do they speak, wear clothes, talk to humans, etc? So the art of writing drama for children is largely one of problem-solving. David has adapted very many stories for children, including The BFG, The Witches, Tom’s Midnight Garden, The Tiger who Came to Tea, Guess How Much I Love You – the list goes on and can be found on his website at www.davidwood.org.uk He also writes original plays – and has had a parallel career as an actor (rather incongruously appearing in the film If… but I realised mid-way through his talk that I remembered him from Playaway from when I was a child!) His adaptation of Goodnight Mister Tom opens at the Phoenix Theatre on 22nd November 2012 and Tom’s Midnight Garden at the Bloomsbury Theatre from 12th December. 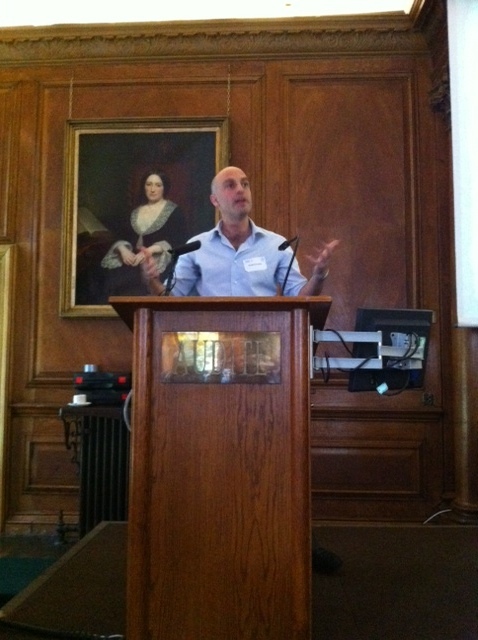 Next it was the turn of Dylan Calder, who introduced his company Pop Up Projects. This non-profit, social enterprise, set up two years ago in 2010, works with a range of partners and funders to deliver an annual literature programme in some of London’s inner-city schools around the King’s Cross area, culminating in the summer with a two-day children’s literature festival of free events and experiences celebrating books, stories and the imagination. Dylan explained how his vision of putting authors and artists at the helm was vital in terms of making the festival experience a truly creative and collaborative event. 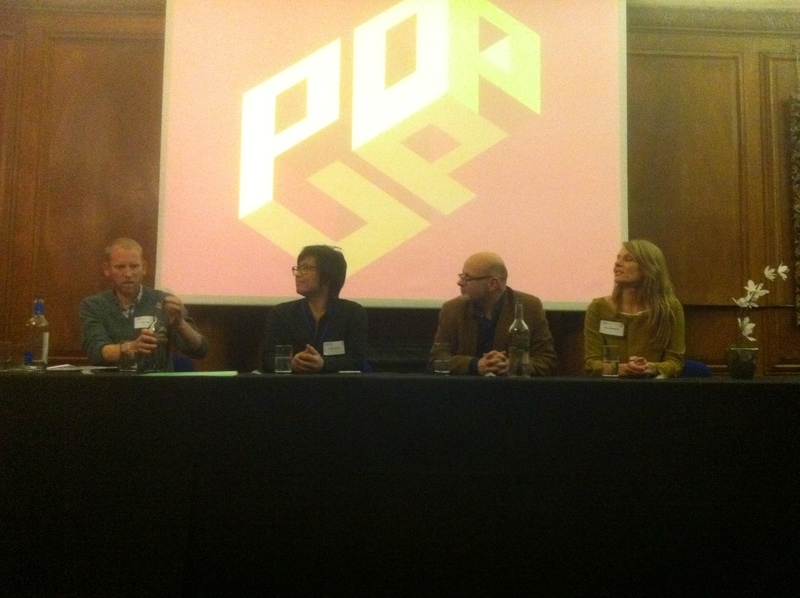 He then introduced three authors who have curated events at Pop Up – Karin Littlewood, James Mayhew and Candy Gourlay. Each author was given a small budget to work with and a free hand to create their own world “beyond the book”. Karin spoke first, describing how she first heard Dylan’s vision for the Pop Up Festival in a back garden in the East End of London and came away buzzing with ideas, keen to take on the task of curating an event at the first festival in 2011 centred around her book Immi. She took the audience through photographs charting how her idea of building a giant igloo took shape and how the event became a collaborative community project, involving dancers from the London Contemporary Dance School who choreographed and performed a piece, students from St Martin’s who helped to construct the igloo, and original music composed by Ben Graves of the Guildhall School of Music. On the day, children and their families entering the magical world of Immi’s igloo could create their own art, listen to story-tellers, watch the dancers perform – and even meet Immi, an actor dressed up as the character from the book. 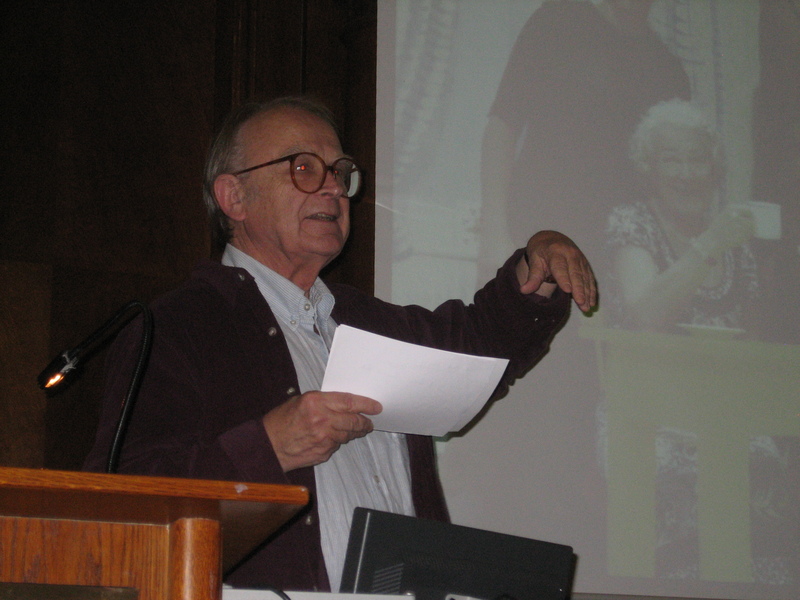 James Mayhew then described his event at the 2012 festival – a Pop Up Picture Pavilion. Drawing on his successful Katie books, which introduce children to famous paintings, James worked with students from Central St Martins School of Art to build a magical, colourful art gallery. Inside, children could scribble and draw and pretend to be Katie – climbing onto sets inspired by Rousseau’s Tiger, re-creating famous paintings such as “Starry Sky” and posing behind life-sized cut-out figures (with a photograph of a serious-looking child transformed into her role as Velazquez’s Spanish Infanta drawing a collective sign of admiration from the audience). With the help of illustrator Clara Vulliamy and artist Vanessa Stone, the day-long event also included drawing and paper-cutting workshops as well as story-telling. Candy, author of Tall Story, rounded up the segment with a lively description of her 2012 Pop Up Fiesta, inspired by her native Philippines. The curated space included book-based quizzes and game shows devised to engage the young audience (with Candy describing how questions had been tailored so that children could take part even if they had not read a particular book) and featured several of Candy’s author and illustrator friends – lured in, she said, by the promise of being treated like stars for the day (particularly as she laughingly admitted, she had blown much of her budget on hiring traditional Filipino dancers). The event was a great success, culminating in the arrival of the Filipino dancers who proved (to Candy’s relief) to be worth every penny, treating the audience to performances including traditional bamboo dancer and Spanish flamenco, reflecting her country’s rich and vibrant history. He does a terrific dragon. Course he does. You name it, Jim Kay draws it. Wherever he places his pencils and brushes, castles, bugs, landscapes arise. So detailed and beautiful, so appealing, that a story starts to unfold right under your eyes. But then, not all stories can be happy stories. So when we meet Kay’s Paddington Bear, we find a wild beast with haunted eyes, whose dangerous claws hold a suitcase so clumsily you want to take it away from him. Free him from his burden. Yes. Dark stuff. Too dark for children. Or that is why publishers told Kay off when he tried to find a job illustrating children’s books. Refusing to draw more dragons, it was eventually A Monster Calls by Patrick Ness that gave him the opportunity to show that children love his work. Struck by the story and convinced not to disturb the individual reading experience, Kay created what feels like an illustrated world of our emotions. Kay the drawer humbly stepped back and created landscapes of carbon prints and tissue paper, and a green man built from cut out ink spots. As a singular visual artist, he shows extraordinary trust in language, but also knows how to go beyond the words. Not by giving the story a face, but by emphasising the powerful emotions that we can only feel, not read. We are working on a longer post with summaries from our recent IBBY/NCRCL Conference (Saturday, 10th November) which was on the theme ‘Beyond the Book’. But in the mean time, we thought people might enjoying seeing photos from the day. 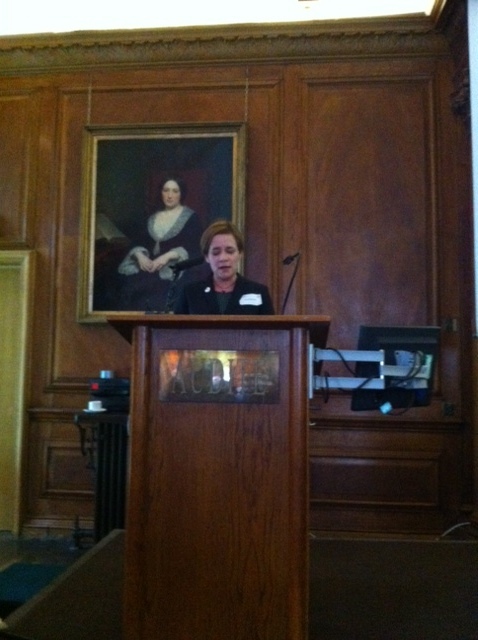 NCRCL Director, Lisa Sainsbury, opens the conference. Matthew Grenby from the University of Newcastle gave a talk on 18th century hand-written manuscripts and the origins of children’s book publishing. Author Sita Brahmachari (Artichoke Hearts) on creating a circus-theatre adaptation of Shaun Tan’s The Arrival. 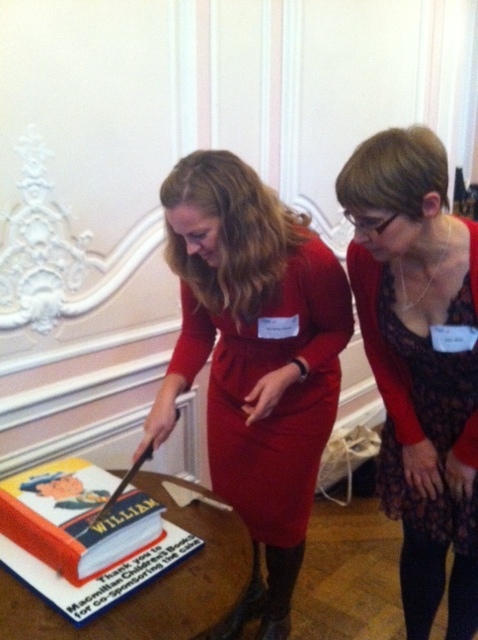 Roehampton archivist Kornelia Cepok and librarian Julie Mills cut the cake celebrating Just William’s 90th anniversary, and highlighting the Richmal Crompton collection held at the University of Roehampton. Thanks to Macmillan Children’s Books for co-sponsoring the cake. There are more photos to come of the afternoon sessions (David Wood; the Pop Up panel with Dylan Calder, Candy Gourlay, Karin Littlewood, and James Mayhew; and Jim Kay). You can follow the Twitter convesation on the day at #IBBY12. And if you want to see more of Jim Kay’s presentation, Candy Gourlay has created a wonderful illustrated summary here. Our exciting programme includes children’s book historian Matthew Grenby; publishers Nosy Crow, Hot Key Books and Winged Chariot on digital innovations; award-winning author Sita Brahmachari; school librarian Kay Waddilove talking to young book reviewers; national children’s dramatist David Wood; Pop Up director Dylan Calder speaking with author Candy Gourlay and author/illustrators James Mayhew and Karin Littlewood; and Greenaway Award-winning illustrator Jim Kay. Book your place, and find more information, here.